This is the official Matt Paxton app. A&E regular and America's favorite Extreme Cleaning Specialist will be your guide to all things hoarding. Matt will talk about life, stories from the road and what it takes to wake up every day and clean the messiest homes in the world. This is the most convenient way to access Matt Paxton's world from your device. 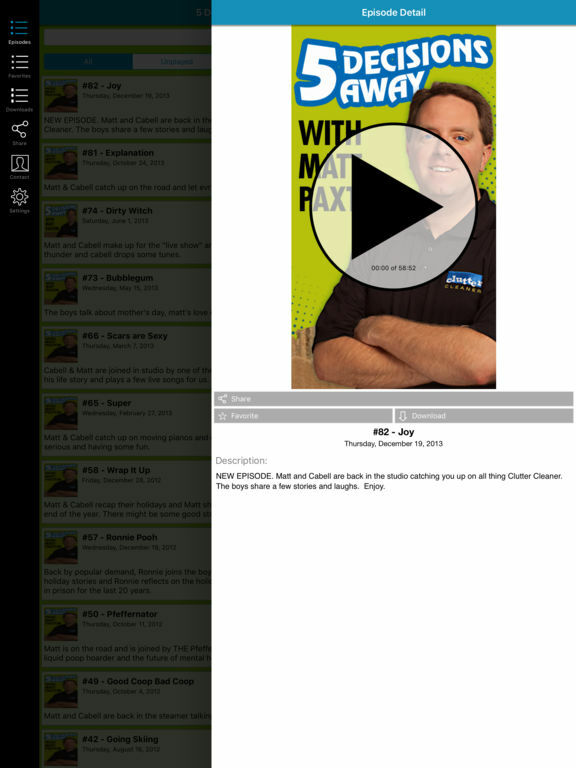 With this app you are always connected to the latest 5 Decisions Away podcast episodes, access to special live tapings, pictures from the road and Matt's favorite links. You can also star your favorite episodes and save them to a list so you can easily enjoy them over and over! 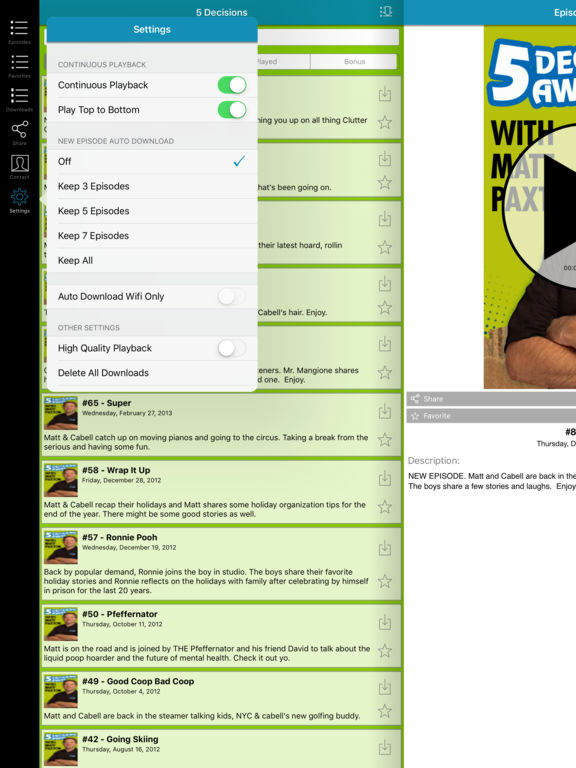 This app is complete access to Matt Paxton & his podcast 5 Decisions Away! Let us know what else you want to see featured on this application!